I love Madras (now Chennai), my birth city. Once a quaint little port town, it has now metamorphosed into a bustling metropolis of South India. Madras was born on August 22, 1639 when Francis Day who belonged to the East India Company bought a small piece of land (where Fort St. George stands now) from the then Vijayanagara king, Penda Venkataraya. The said piece of land was under Darmerla Venkatapathy, a local Nayak ruler who granted permission to the British to build their commercial establishments on his land. This grand city has a vibrant cultural and historical heritage. Madras boasts of filter kaapi, idli-sambar, kanjivaram sarees, carnatic music, bharathanatyam, beaches, temples, educational institutions, heritage buildings, poets, litterateurs, kolams, Tamil cinema and much more alluring delights. Go to Chennaiheritage.in to know more about the city’s rich culture and heritage. So, as the Madras Day 2014 celebrations kicked off, I asked my friends and fans on Facebook to suggest children’s books based on Madras and depicted even remotely the people, life, culture, geography and traditions of Madras. Below is the list that I compiled with inputs from my friends and followers.Thank you everyone for helping me compile this booklist. 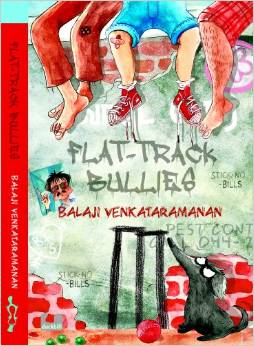 Flat Track Bullies written by Balaji Venkataramanan, published by Duckbill books is a YA book that traces the life events of a teenage boy in Chennai as he turns his nondescript summer vacation into a thrilling adventure. This book is packed with references to the City’s summer life. 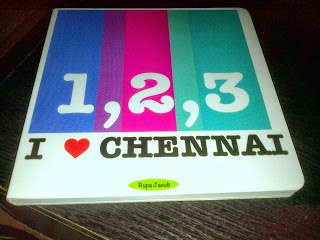 123 I Love Chennai written by Rupa Jacob is a brilliant book that portrays the city through a counting book. Ideal for 1-3 year old children, this book helps them count from 1-10 using photographs of different things unique only to Madras: 10 Filter Coffees and 7 Toppi Dosas! Where’s the Cat? 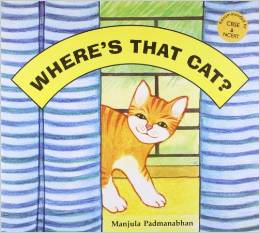 written and illustrated by Manjula Padmanabhan and published by Tulika. There is no mention of Madras in this book, but the book’s illustrations has strong resemblances to Madras especially the school girls uniform which very similar to Etwarts School’s! 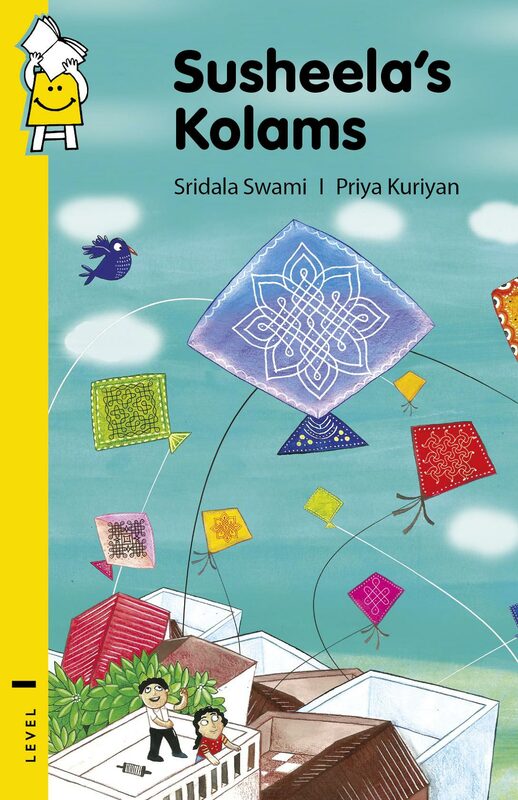 Susheela’s Kolam written by Sridala Swami and published by Pratham Books is all about Kolams, an integral part of the culture of Madras and other parts of South India. 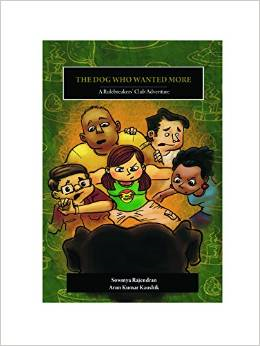 The Dog Who Wanted More written by Soumya Rajendran and Arun Kumar Kaushik is the latest and the first middle grade title published by Karadi Tales. The story is set in Chennai. 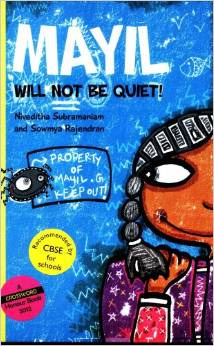 Mayil Will Not Be Quiet written by Sowmya Rajendran and Niveditha Subramaniam, illustrated by Niveditha Subramaniam and published by Tulika Books. This is a pre-teen story about Mayil Ganeshan. From Saroja Patti to Rajinikanth movies – two things very Madras – Mayil has an strong opinion on everything. And where does she give vent give to all her thoughts? In her diary, of course. 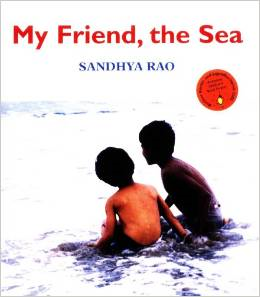 My Friend the Sea written by Sandhya Rao and illustrated by Karuna Sesh and Pervez Bhagat is a book about a little boy’s feelings about the sea, after the city is ravaged by its fury in the 2004 Tsunami. Trash! 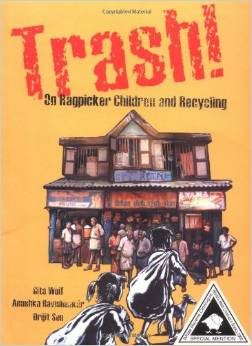 On Ragpicker Children and Recycling written by Gita Wolf and Anushka Ravishankar, illustrated by Orijit Sen and published by Tara Book depicts Madras, the city through the eyes of a ragpicker boy as he lives on its streets and ekes out a living, picking trash from its alleys. Excuse Me, Is This India? 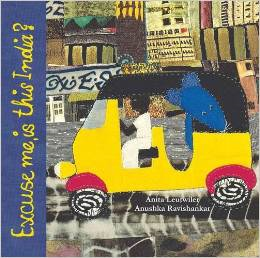 written by Anushka Ravishankar and Anita Leutwiler, published by Tara Book is brilliant book to introduce kids to the people, places, sights and sounds of India and of course, Madras too. This book has been illustrated using quilts made from Indian fabrics. 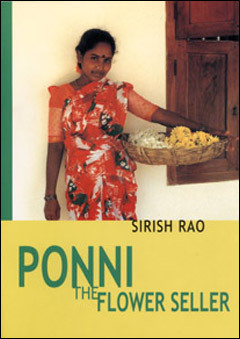 Ponni the Flower Seller and Babu the Waiter, both written by Shirish Rao and published by Tara Books features the City’s people and their work. Mylapore (out of print) by Tara Books, is a book that features children’s views about Mylapore, a prominent neighbourhood of Madras. That’s all for now. Do you know any more books based on Madras/Chennai? Do let me know please.